Mortuary staff in Sheffield are using a revolutionary new fingertip-based drug screening system to carry out a simple, non-invasive drug test on the deceased at the city’s Medico-Legal Centre, when pathologists indicate it may be helpful. The test works by analysing sweat deposits that remain on the fingertips – even after death. The fingertip drug test is a convenient, non-invasive procedure. 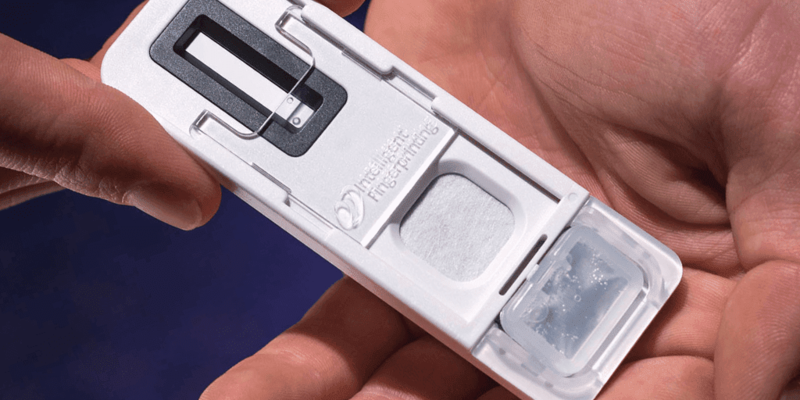 It takes just five seconds to collect a fingertip sweat sample from the deceased onto the small, disposable drug screening cartridge. A portable reader analyses samples taken within the post-mortem suite, providing test results for multiple drug groups simultaneously in under 10 minutes, currently: cocaine, opiates, cannabis and amphetamines. The new system provides the Coroner’s staff with valuable information which can help to immediately identify possible drug involvement in a death. “Having a simple, non-invasive and rapid fingertip drug screen is already proving a valuable source of additional information, giving the Coroner’s Office important early intelligence on potential drug use.” said Maxine Coe, Mortuary Manager at the Sheffield Medico-Legal Centre. “Our trials of the Intelligent Fingerprinting system showed that it’s very easy and quick to use, saves time and allows us to make smarter decisions about where further (potentially expensive) toxicology tests may or may not be required,” added Maxine. The Office of HM Senior Coroner for South Yorkshire (West) District is now employing the Intelligent Fingerprinting Drug Screening System – a newly launched technology that can be used to quickly test the deceased – to gain early intelligence on whether substance misuse may have been a contributing factor in an individual’s death. 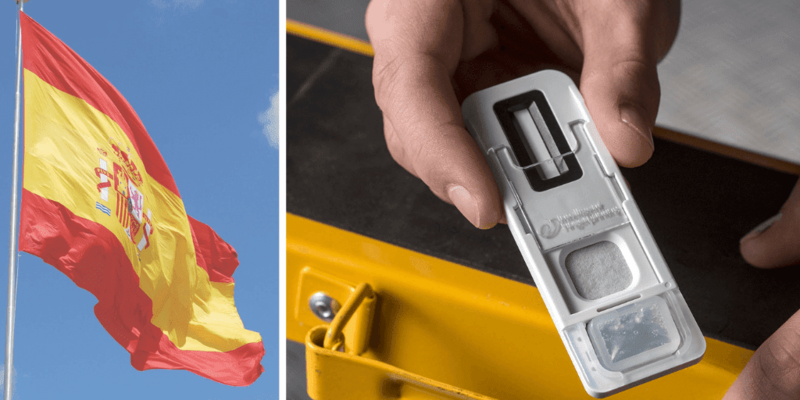 “We have been working in partnership with several Coroners throughout the important trial phase of our innovative drug screening system,” said Intelligent Fingerprinting’s Business Development Director, Dr Paul Yates. “The Medico-Legal Centre team, which comprises Sheffield’s Public Mortuary and the offices and court of HM Coroner for South Yorkshire (West) District, played a pivotal role in carrying out the initial Innovate UK funded feasibility project when we were developing the test. 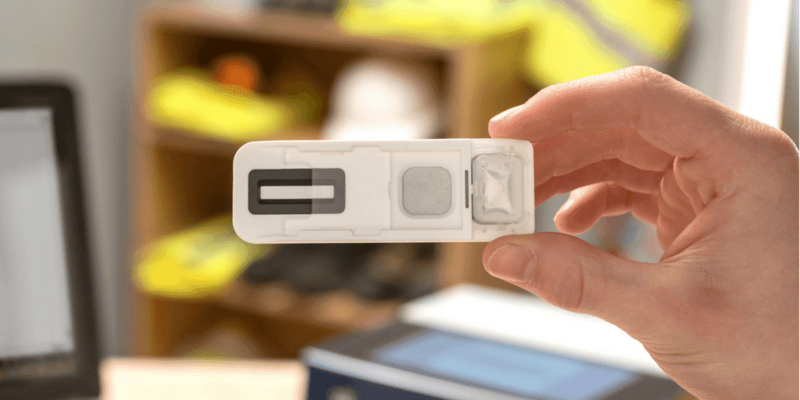 Now that the product has been launched and is officially commercially available, it is great that the same team are now benefitting from the fully validated Intelligent Fingerprinting Drug Screening System to support their day-to-day investigations. View the Intelligent Fingerprinting introductory video here.